Local custom notebook maker Aftershock PC has been making waves lately with models that pack in the goodies while keeping prices competitive compared to big-name rivals like Dell Alienware and Toshiba. The XM17, which I had a chance to test out in the past couple of weeks, proves it is well-worth considering if you are looking for a gaming machine that takes up less space than a desktop and can be easily moved to a friend’s place for an overnight session. The first thing that makes a great impression is the lack of bling. Missing are the gaudy, cheap plastic on other machines that seem to scream “gamer”. The chassis here is understated in a tasteful way – if it costs less for Aftershock, it certainly doesn’t look cheap for the user. Some users might feel a little uneasy tapping on the palm rest area and hear a slightly hollow sound, but generally, the XM17 feels solid and can withstand the few knocks when you take it off your desk once in a while. Frankly, at 3.2kg, this is not one notebook you’d be placing on your lap often, or carrying onto an airplane to watch movies. 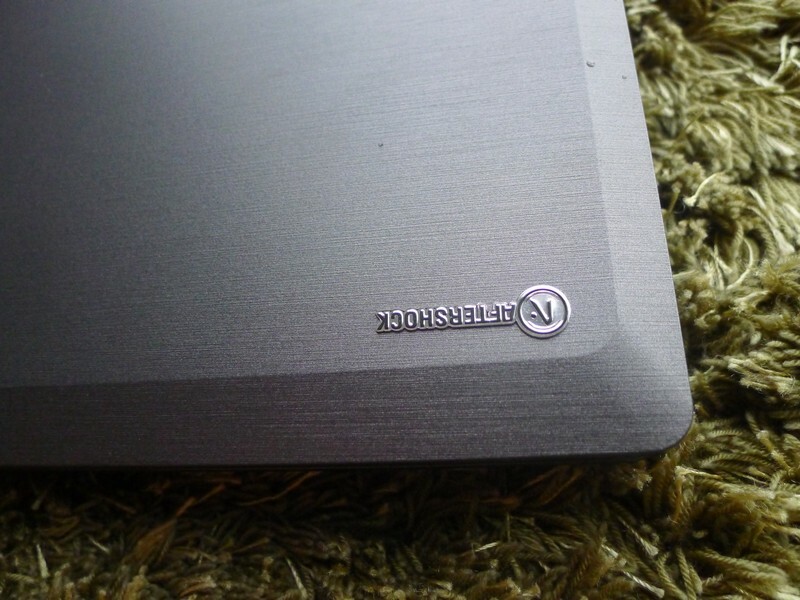 For that weight, of course, you expect all the gaming goodies that can rival a mid-range desktop PC. At its heart is nothing less than an Intel Core i7-3610QM CPU. This is backed up by an ample 8GB of RAM, an able Nvidia GeForce GTX 660M and a Seagate 500GB hard disk running at 7,200 revolutions per minute (rpm). 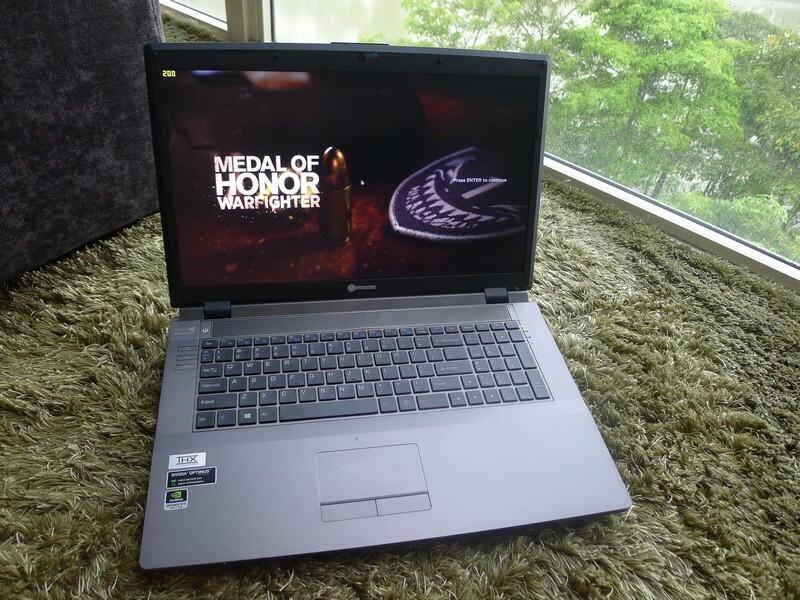 The star of the setup is a great 17.3-inch Full HD screen that really shows off the sharpness and detail on PC games. The matte, anti-glare display is a big plus, especially if you are sitting next to a window. It’s also pretty big, as far as notebooks go, and honestly, I can live with this screen if I don’t have a desktop and 24-inch monitor. 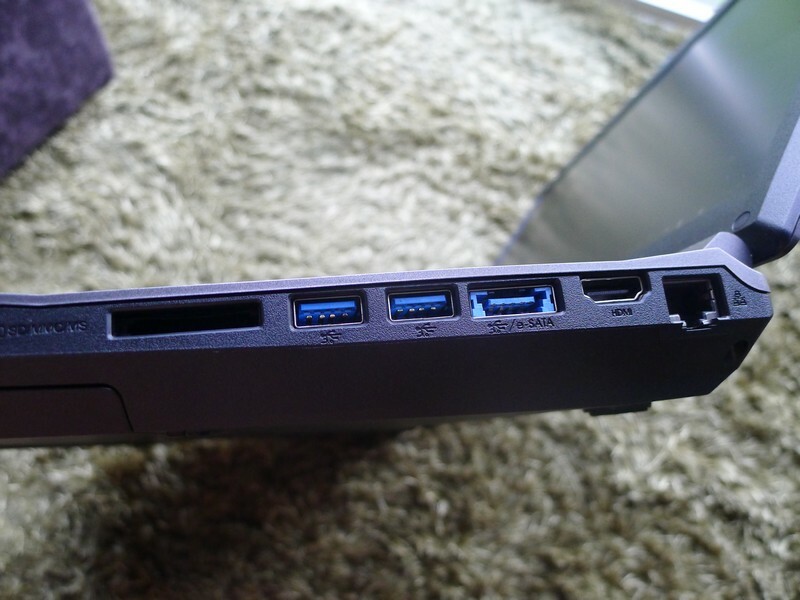 There is a full array of connectors, including a LAN port to download gigabytes of games, a couple of USB 3.0 ports for your fast external drives, an HDMI port to hook up to a bigger screen and interestingly, a VGA port at the back of the machine…which you might use for a presentation, perhaps. 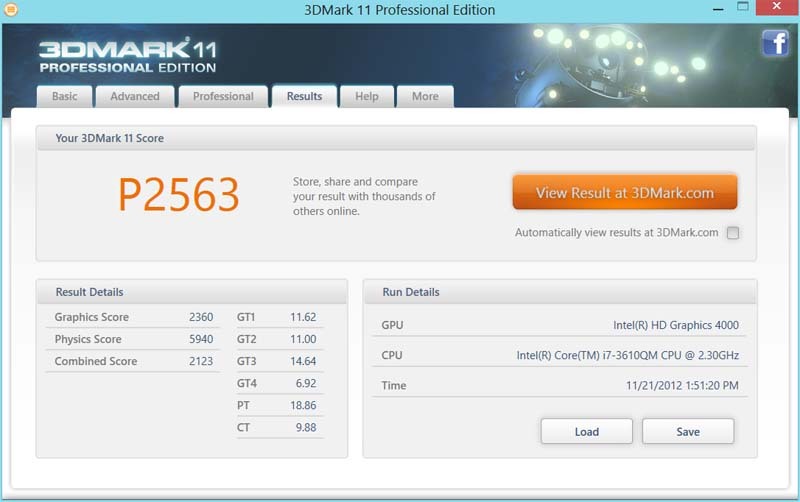 For that configuration, Aftershock PC is asking for S$1,780 (including GST). 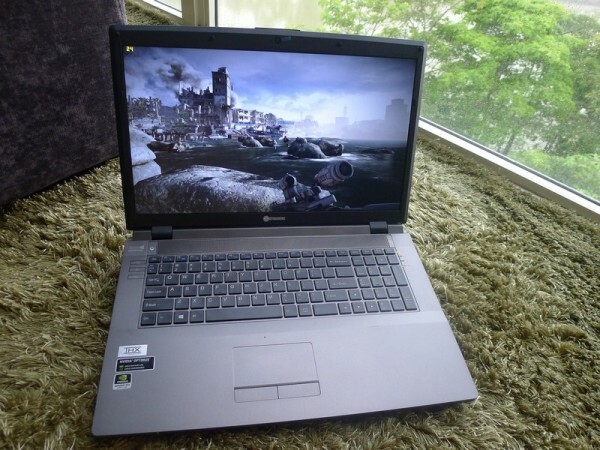 That’s a pretty good price, considering other gaming notebooks often cost more than S$3,000. 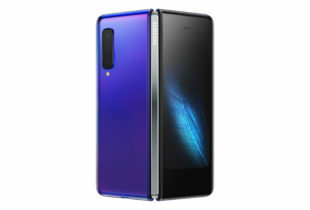 What I would have preferred is perhaps a solid state drive (SSD) – prices have fallen to about S$1 a gigabyte now – which will make games load much faster. The fast hard disk onboard is no slouch, but since Aftershock lets you mix and match your own components, I’d suggest you go for a Core i5 chip, and use the savings to stick an SSD in there. As the original configuration goes, the performance is pretty good too. I played through the Shore Leave level of Medal of Honor: Warfighter with all the effects turned on and things were very smooth. The Fraps measurement tool tells me the average frame rate was about 24 frames per second (fps). That’s just slightly lower than the 30fps often required for smooth gameplay, though I felt everything ran smoothly. Things were a little trickier on the opening level of the first person shooter, which uses the demanding Frostbite 2 game engine. The average framerate here fell to 20, possibly dragged back the amount of effects, like rain, bright explosions and sheer number of objects – falling containers, a helicopter and enemy soldiers. The game was still playable, but obviously the mid-range GTX 660M graphics chip can cope better if you dialed down a couple of settings from “Ultra”. Indeed, most of them were on Ultra, with the exception of a few, when the game started with the auto-detected settings. This augers well for the notebook, because you can expect a lot more games to run on the Frostbite 2 engine in future, plus many more that won’t be half as demanding. I also ran a few instances of 3DMark 11, a synthetic benchmark mimicking real game scenarios, and the score hovered around P2500, which is what you’d expect of a mid-range gaming graphics chip now. 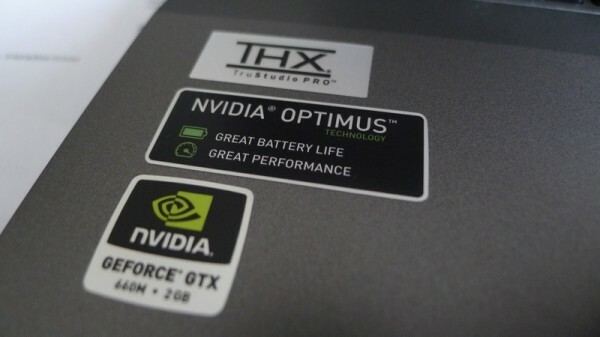 For a budget gaming notebook like the XM17, the GTX 660M is a good choice. If you wish, you can always ask the Aftershock PC folks to ramp things up with a faster graphics chip. Possibly an AMD Radeon 7970M, for example? All in, the XM17 is a great alternative to the well-known brands that build gaming machines as part of much bigger operations. What Aftershock promises, along with its three-year warranty, is personalised service from fellow gamers who source their components from companies in the United States. There are a few things I’d like improved, sure. For one, the power button is pretty close to the Esc button and lets you accidentally put the PC to sleep if you are clumsy (like me). The touchpad is a bit small as well. But I’m being picky. You’d hardly use the touchpad if you have the machine on your desk most days – you’d be using a gaming mouse. The Esc button can be pressed with a little more precision, of course. 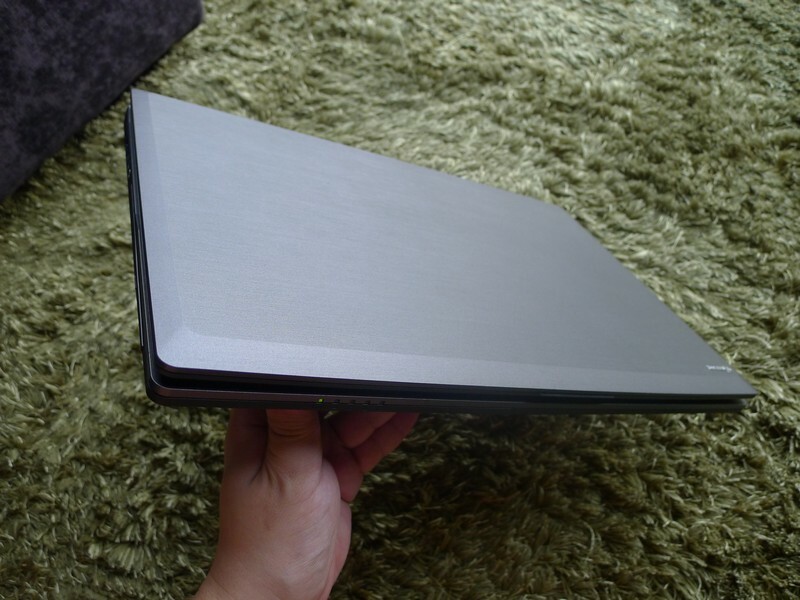 That means I’d happily recommend this machine to folks looking for a gaming notebook. The most important features are there, and if you don’t like the config offered by the Aftershock PC folks, you can customise based on your budget as well.